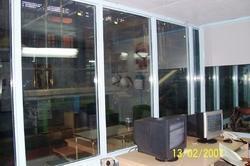 We are one of the leading organizations engaged in delivering its customers best series of Soundproof Window. The entire range is easy to install and has longer service life. 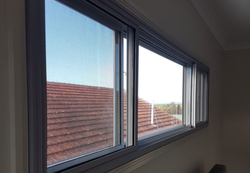 The Sound Proof Windows are a Factory sealed unit with multiple glasses separated by air gap for noise reduction. The spacer is provided between the two glasses of the Sound Proof Window with moisture absorbing desiccant to avoid fogging/fungal growth. The Soundproof Windows find their home in various organizations. These Soundproof windows protect ears from the impacts of noise pollutions. Moving ahead, our windows are crafted keeping in mind client's specific requirement. We are looking for queries for Chennai only. We are indulge in offering an extensive range of UPVC Window to meet the demands of our customers.